Matt Dunlevy is the President, CEO, and founder of SkySkopes, a nationally leading unmanned aircraft systems flight operations company based in Grand Forks, ND. 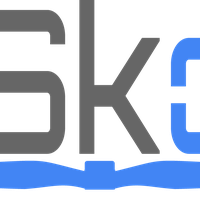 SkySkopes is North Dakota’s first unmanned aircraft startup certified by the Federal Aviation Administration to fly commercially and offerss aerial inspections, energy audits and other services from office locations in Grand Forks, ND and Minot, ND. Under Dunlevy’s leadership, the business grew from a group of four employees to an organization of national recognition in under three years. Dunlevy studied mechanical engineering and history at the University of North Dakota. During that time, he became interested in entrepreneurship and founded several startups before ultimately combining a lifelong passion for aviation with his drive for business to form SkySkopes. Dunlevy has taught numerous courses at the University of North Dakota, including UAS in Business, UAS in Engineering Design and Applications, and the Ethics of UAS. Dunlevy’s aviation experience includes logging hundreds of flights on powered aircraft, gliders, and hobbyist unmanned aircraft since his teens.